The media generally ignored, in return for the U.S. postponing a handful of military exercises (“concessions,” which were deeply criticized by an American media which has failed to note the U.S. has actually resumed some exercises, the North unilaterally stopped ICBM testing (the missiles which might someday be able to reach the U.S.) and nuclear detonations. It released American hostages, and took steps to close down two nuclear missile facilities. Kim Jong-un fired top military leaders who dissented over his approaches to South Korea and the United States. Officials from North and South now meet regularly, and U.S. diplomats engage with both sides on an ongoing basis; Secretary of State Mike Pompeo has been to Pyongyang. Numerous practical steps have been taken along the DMZ to reduce the chance of accidents. South Korea’s unification minister in charge of North Korea issues Cho Myoung-gyon will visit the United States this week, where he is expected to meet Pompeo. This is the first time in four years for South Korea’s unification minister to visit Washington. On the last visit, in 2014, then-Secretary of State John Kerry refused to meet with his predecessor in line with the Obama (and Bush) administrations’ policy of ignoring North Korea in hopes the problem would go away. What is the real state of diplomacy on the Korean peninsula? Are we again heading toward the lip of war? Of course not. South Korea’s presidential spokesperson put those “new” missile facilities into the perspective Trump’s critics lack, saying “North Korea has never promised to shut down this missile base. It has never signed any agreement, any negotiation that makes shutting down missile bases mandatory… There is no agreement, no negotiation that makes it necessary for it to be declared.” In other words, there can be no deception where there was no agreement. To call what the Times discovered a “deception” is deeply misleading. The Singapore declaration and the inter-Korean summit declarations of April 27 and September 19 this year do not commit Pyongyang to disclose the sites. What is new to the Times is actually old news; Kim Jong Un in his January 2018 New Year’s Day guidance stated North Korea would shift to the mass producing nuclear weapons in such facilities. “The nuclear weapons research sector and the rocket industry should mass-produce nuclear warheads and ballistic missiles, the power and reliability of which have already been proved to the full, to give a spur to the efforts for deploying them for action,” Kim said. The Times in fact more or less acknowledged all this in September, before being suprised by it in November. And the Times’ big scary takeaway, that the old/new facilities are in caves, confuses tactical concealment with some sort of nefarious political “deception.” Did they expect the missiles to be worked on in the parking lot outside Kim’s villa? One issue only lightly touched by a western media obsessed with parsing tweets as their stab at journalism is the ongoing rush forward driven by the two Koreas themselves, what under any other media climate would be hailed as a huge series of successes but which falls in 2018 under the Trump Is Always Wrong Shadow. In a short time the two states established psuedo-embassies just north of the DMZ, where representatives from the two Koreas have met more than 60 times. The office has become a clearinghouse for over a dozen projects launched during the summit. There are plans for a massive binational project to link roads and railroads severed during the Korean War. North and South Korea have begun removing landmines from the border, drawn back some troops, and most recently held a third leaders’ summit in September in Pyongyang North Korean leader Kim offered to permanently dismantle two key ICBM facilities under the observation of outside experts. He also offered to negotiate further on the permanent shut down of the nuclear facility at Yongbyon. South Korean President Moon Jae-In, for his part, better than the U.S. understands the future is ultimately about economics, not nukes. Moon seeks sanctions relief as negotiations move forward (little is ever accomplished without some give and take.) “I believe the international community needs to provide assurances that North Korea has made the right choice to denuclearize and encourage North Korea to speed up the process,” he said this week in Paris during a visit with French President Emmanuel Macron. If the western media is correct that Trump is being duped, played, deceived, and cheated by the North, what must they think about the faster pace set by the South? After all, a U.S. miscalculation means we all switch from Samsung to Apple phones made in China, while South Korea risks being turned into a wasteland dotted only with signs for Nuka Cola. Left off to the side is that it has been only five months since the historic summit in Singapore. Obama’s agreement with Iran, which did not even involve actual working nukes, took almost two years to conclude. Cold War negotiations with the Soviet Union ran across administrations, extending the broader process into decades of talks, and were aimed at goals much shorter than full denuclearization. Five months is barely enough time to grow a decent garden, never mind resolve multinational problems that reach back to 1945. With North Korea, there is no history of trust, no basis of goodwill to build on. That all has to be created, built from scratch, as part of the heavy lifting of diplomacy. The ultimate goal — denuclearization — may or may not someday come to pass, but if it does it will be the result of years of more small steps forward than small steps back. Diplomacy is about moving the goalposts and embracing the long game, not playing chicken. It will require the North’s nuclear weapons to become unnecessary, as the North agrees to and is allowed to become so engaged with the global system that it finds itself no longer in need of such a powerful deterrence to attacks by its neighbors. Diplomacy requires one to at least understand the opponent’s goals and motivations, even if you don’t agree with them. So shame on those hardline groups — let’s call them Asian Neocons, for they want regime change in the North in the same way as Cheney, Rumsfeld, et al, wanted it in the Middle East — and shame on the New York Times for morphing its Trump-is-always-wrong editorial policy into presenting something long-known to U.S. intelligence as something new enough to declare deception has overtaken the diplomatic long game on the Korean Peninsula. As they did during the run up to the Iraq War, the Times is once again serving as a platform for those who cannot see or will not wait for a peaceful way forward. Deception? The deception, it is clear, is all (again) on the side of the neocons. They seek to destroy any chance of lasting peace with unrealistic expectations and by announcing failure at goals never actually set. Because if not diplomacy, then what is the alternative? Theirs is not pessimism, it is fatalism. Success instead should be measured by the continued absence of war and the continued sense that war is increasingly unlikely. Anyone demanding more than that wants things to fail. While I can say there isn’t a formal class at the American State Department called Diplomacy 101, some training offered to new hires comes pretty close. Those basic tenets of statecraft, largely unchanged from Thucydides to Bismarck to Pompeo, are important to review in light of the widespread criticism of the Singapore Summit. You make peace by talking to your adversaries. Diplomacy is almost always a process and rarely a big-bang scale event. Steps backward are expected along with steps forward. Realizing America’s foreign policy goals often means dealing with bad people. As an American diplomat I purposely flattered and befriended gangsters in Japan to help American citizens in trouble, Irish Republican Army terrorists when a change in administration in Washington saw them eligible for visas, and militia leaders in Iraq who sought deals during the Surge. So has every diplomat, along with most intelligence officers and military officers. Many in the media have done exactly the same things to cultivate sources. The Etruscans, Ethiopians, Egyptians, Eritreans, and Everyone else from A-Z have been conducting diplomacy with adversaries of all flavors, titles, and moral standards since before the word was even invented by the French. A leader whose family has been the sole ruler of his nation for seven some decades, who controls nuclear weapons, whose nation has a seat at the United Nations and embassies in multiple countries around the world already meets any practical test of “legitimacy.” Kim’s nuclear weapons exist whether or not he meets a sitting American president, or ex-presidents Clinton and Carter, though the only chance those weapons may someday be gone rests in such meetings. Now protocol is always tricky. President Obama had no obligation to bow to the Emperor of Japan, but decided to convey respect; same with American male diplomats holding the hands of or exchanging kisses with their Arab counterparts; I kissed a lot of bearded men while on duty myself. Mistakes happen — Trump did not need to salute that North Korean general — but what matters most is the effect on your counterparts. No damage was done, and maybe even some additional humility was conveyed in a situation where offense could have easily derailed more important matters. It’s different with created messaging directed at your adversary, because nobody else matters. Much mockery was slathered on the video Trump played for Kim in Singapore, depicting him as a great leader facing a history-bending decision. The video was spiced full of symbols that resonate with Koreans, including sacred places and holiday images that mean little to outsiders. The audience was one man, and the video was designed to do one thing, speak to Kim in a visual language he understood. Diplomacy 101 suggests everyone else might stand aside, the way older folks should do when people say such-and-such a new dance song is good or bad, knowing they’re not the intended audience. Negotiations are rarely an even exchange. But how long will you sit at the table if someone else seems to win every hand? Everyone has to at least feel they can win, so they don’t have a reason to cheat, and thus stay in the game. Even when stakes are high the good news it’s hard to give away “the store.” The store in whatever form usually isn’t something that can be irrevocably stopped, boxed up for shipment, or destroyed forever. Never mind the checks, balances, and bureaucratic brakes built into something as complex as the United States government, or even what may appear to be mostly a one-man-rule system. Diplomacy 101 encourages a thoughtful approach to score keeping, knowing the score only really matters at the end anyway. Diplomacy 101 also reminds the most important purpose of a good first date is to make sure there’s a second. It doesn’t make sense to call it a failure if no marriage proposal follows dessert. Love at first sight is best left for the movies. A kiss goodnight is great, but international relations is a chaste process and demanding or expecting too much too early isn’t a long game strategy. Setting an artificial clock running alongside something as delicate as nuclear disarmament accomplishes nothing. Negotiations between the United States and the Soviet Union sometimes spanned administrations. A future Diplomacy 101 class may examine the Singapore Summit alongside President Richard Nixon’s summit with Chinese leader Mao Tse Tung. That 1972 meeting ended over two decades of isolation between the two nuclear-armed countries, and is universally hailed as brilliant diplomacy. But looking back, the main takeaway, the Shanghai Communique, is full of vague phrases promising to meet again, to somehow make “progress toward the normalization of relations,” and “reduce the danger of international military conflict.” The status of Taiwan, which had almost brought the Americans and Chinese to war, was dealt with in almost poetic terms, able to be read with multiple meanings. There was no timeline for anything. No specific next steps listed, though Nixon did agree to the “ultimate objective of the withdrawal of all U.S. forces and military installations from Taiwan.” Nothing about China’s horrendous human rights situation. Few details at all, and the biggest problem was treated obliquely. It took seven more years before full diplomatic relations were restored. Yet scholars see the visit as one of the most impactful ever by an American president, to the point where the term “Nixon to China” is now shorthand for a breakthrough leaders’ meeting. 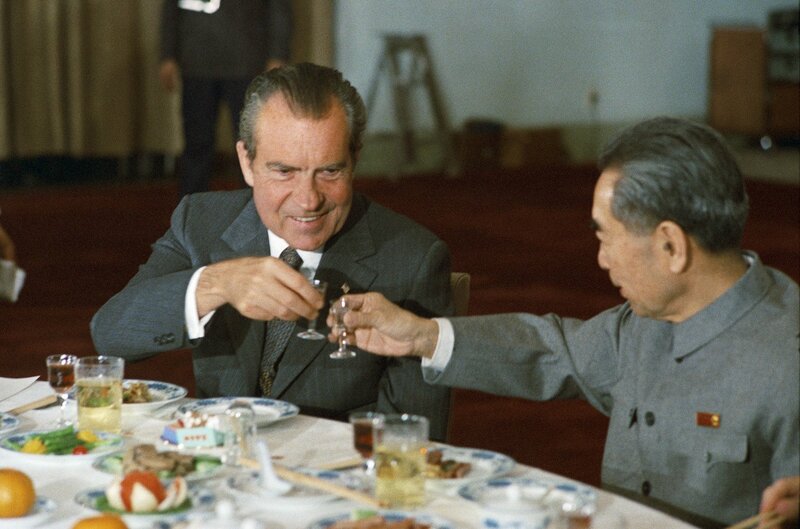 It is of course too early to fully assess the Singapore Summit, never mind to see if it will rank anywhere near the Nixon-Mao meeting. But we do know personal diplomacy has sometimes been the right strategy, and that Americans have met with dictators, nuclear-armed and not, before. Simply amending “But Trump!” to those and other realities of diplomacy does not change them. 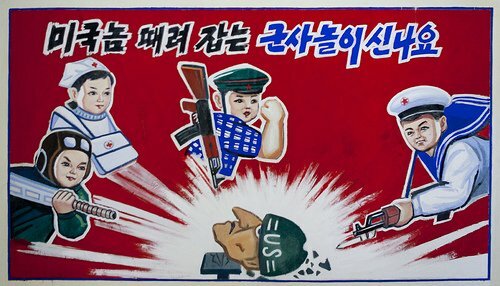 As the United States-North Korea relationship evolves, it is important to avoid valuing the sharp elbows of partisan politics over the earned lessons of Diplomacy 101. Class dismissed — for now. In the end, diplomacy works. And as it always does, it works as a process, not an event. There is no Big Bang theory of nuclear diplomacy. If absolutely no further progress is made toward peace on the Korean Peninsula, all this – the back-and-forth, the Moon-Kim meetings, the Singapore summit itself – is at worst another good start that faded. It is more likely, however, a turning point. Only a few months ago State Department North Korean expert Joseph Yun’s retirement triggered a round of dire claims of a “void at the head of Trump’s Korea diplomacy.” Similar predictions were made over the lack of an American ambassador in Seoul. The State Department was decimated (“The Trump administration has lost the capacity to negotiate with other countries,” wrote one journalist.) The Council on Foreign Relations assessed the chances of war on the Peninsula at 50 percent. Reviewing decades of Western political thought on North Korea, it is equally staggering how poorly those predictions have panned out. There has been no succession struggle in Pyongyang, no societal collapse, no coup, no war — and no progress. Until now. It is easy to announce a morning after defeat for Trump. But those critics ignore Kim’s ongoing moratorium on nuclear and ballistic missile testing, the return of American prisoners, the closing of a ballistic missile test site, and the shutting down of a major nuclear test facility without opening a new one. It is easy to forget a few months ago North Korea exploded multiple nuclear devices on a single day to spark fears of dark war. Negatively assessing Singapore in light of more detailed agreements and different efforts from the past ignores the reality that all of those past agreements failed. Success on the Korean peninsula, as in the Cold War, will be measured by the continued sense war is increasingly unlikely. Success in Singapore is the commitment to meet again, and again after that; the more modest 2015 Iranian Accord (which didn’t even involve actual nuclear weapons) took 20 months to negotiate. Cold War treaties required years of effort, crossing administrations in their breadth. To expect more than a commitment to the next steps (did anyone think Kim would box up his nukes post-summit and mail them off?) is ahistorical. Did none of those complaining ever go on a first date? The pieces for progress are in place if they can be manipulated well, including a North Korea with a young, Western-educated, multi-lingual leader perhaps envisioning himself as his nation’s Deng Xiao Ping, the man who will bring the future to his isolated nation while preserving its sovereignty. “We have… decided to leave the past behind,” Kim said as he and Trump signed their joint statement. There is momentum in Pyongyang, a restless and growing consumerist middle class, living in a parallel semi-market economy fueled by dollars, Chinese currency, and increasing access to foreign media. Couple that with an American president willing to break the established “rules” for (not) working with North Korea. A careful look shows the glass is more than half full. It really is different this time. Another important difference this time is the presence of South Korean president Moon Jae In. He was a prime mover behind the notion of any summit at all, helping convince Washington North Korea is a uniquely top-down system and needs to be dealt with as such. His April 27 meeting with Kim Jong Un established the main points to negotiate on ahead of Singapore. After Donald Trump’s May 24 initial cancellation of the Singapore meeting, Moon shuttled between Washington and Panmunjom to get the process moving again. In a climate of constant bleating about war, that was skilled diplomacy played out on a very big stage. 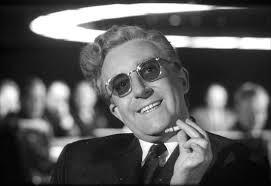 No nuclear negotiations in history have had such an interlocutor. Moon’s continuing juggling of his roles — honest broker, fellow Korean nationalist with shared cultural, linguistic, historical, and emotional ties, American ally, informal advisor to Kim, informal advisor to Trump — is key to the next steps. Moon himself is the vehicle in place to resolve problems that in the past were deal-breakers. What didn’t happen in Singapore is also important. Trump did not give away “the store.” In fact, there is no store Trump could have given away. The United States agreed to suspend military exercises which have been strategically canceled in the past, and which can be restarted anytime. The reality point is that it’s 2018, where the real deterrent is off-peninsula anyway, B-2s flying from Missouri, and missile-armed subs forever hidden under the Pacific. Trump did not empower Kim. Meeting with one’s enemies is not a concession. Diplomacy is a magic legitimacy powder America can choose to sprinkle on a world leader. Singapore acknowledges the like-it-or-not reality of seven decades of Kim-family rule over a country armed with nuclear weapons. Trump’s decision to begin the peace process with a summit is worthy. Imagining a summit as some sort of an award America can bestow on a country for “good behavior” is beyond arrogant. Successive administrations’ worth of that thinking yielded a North Korea armed with a hydrogen bomb, missiles that reach the United States, and a permanent state of war. A top down approach (China is the go-to historical example) is a valid way forward in that light. The easiest thing to do now is generically dismiss Singapore; the North will cheat and Trump will tweet. The harder thing will be to parse carefully what is next. The United States must incentivize denuclearization. The 2015 Iran Accord is one example. Another reaches back to 1991, when Washington provided financial rewards for the inventory, destruction, and ultimately the disposal of weapons of mass destruction in Belarus, Kazakhstan, and Ukraine. New jobs for the out-of-work nuclear scientists, too, to keep them from selling their skills elsewhere. But more than anything Trump must convince Kim to trust him, particularly in light of Iraq, Libya, and especially Iran, because the core ask here is extraordinary. Only one nation in history that self-developed nuclear weapons, South Africa, ever fully gave them up, and that was only after the apartheid regime disappeared into history and the weapons’ purpose was gone. If Trump followed advice from the left he would have stayed home like past presidents. If he’d listened to the right he’d have bulled into the room and said “Lose the nukes, number one and we’re done” and the process would have truly failed. North Korea developed nuclear weapons to guarantee its survival. If the United States and South Korea want the North to give up those weapons, something has to replace them as that assurance of survival. The summit created the platform. The key to what happens next is how Trump, Moon, and Kim work to resolve that issue. There is room for concern in tripartite negotiations as complex as those about to commence in Singapore among the U.S., and North and South Korea. There is certainly cause for optimism — Kim Jong Un reportedly fired top military leaders who may have dissented over his approaches to South Korea and the United States. And the three nations’ leaders have also never before sat down together to work out issues; this is all new. But there is no basis for claiming anything short of a developed full denuclearization deal left neatly tied with a ribbon on June 12’s doorstep means Donald Trump, or South Korean president Moon Jae In for that matter, has failed. Diplomacy simply does not work that way. One of the more balanced views of the Singapore summit comes from former State Department North Korean expert Joseph Yun. Yun’s February retirement as Special Representative for North Korea Policy triggered a round of dire statements that his absence left a “void at head of Trump’s Korea diplomacy.” Similar end-of-the-world predictions were made over the lack of an American ambassador in Seoul. The Council on Foreign Relations then assessed the chances of war on the Korean Peninsula at 50 percent. Ambassador Yun himself is much more a realist than most others commenting on the Peninsula. Writing in Foreign Affairs, he dismisses quickly those who expect some sort of complete denuclearization deal in about a week. Instead, he suggests “success” will include memorializing North Korea’s self-imposed moratoriums on nuclear and missile tests, and opening the Yongbyon nuclear facilities to the International Atomic Energy Agency. The North will need to provide a full list of its nuclear sites and an accounting of its fissile material. But even Joe Yun falls victim to unrealistic expectations, suggesting success includes a timeline for full denuclearization, and the elimination of North Korea’s intercontinental ballistic missiles, all by 2020 to silence skeptics. Yun was involved in Secretary of State Madeleine Albright’s visit to Pyongyang in 2000 before North Korea even had nuclear weapons, and wouldn’t have been caught dead then suggesting such unrealistic results; the modest hope those 18 years ago was for follow-on meetings leading to a someday presidential summit. Ironically, then-President Bill Clinton held off, pending more interim progress, the result being that no real progress occurred over successive administrations. It took Moon Jae In to convince Washington North Korea is a uniquely top-down system and needs to be dealt with as such. Managing expectations, for the public and at the negotiating table, is key. History provides examples the principals in Singapore should be reviewing. Though imperfect, the 2015 Accord with Iran is a workable model. It focused on specific actions, independently verifiable by the International Atomic Energy Agency: for example, Iran would reduce its uranium stockpile to 300 kilograms at an enrichment level of 3.67 percent. The other parties to the Accord, especially the United States, were equally committed to specific actions over a timeline that extended decades. Nobody simply hoped peace would break out. Denuclearization is far more complicated than just offering sanctions relief over tea in return for boxing up the bad bombs. Deeper history offers the painstakingly complex Cold War nuclear treaties with the USSR, where success was measured by the continued absence of war and the continued sense war was increasingly unlikely. In contrast, look to the example of Libya (ridiculously cited in the positive by National Security advisor John Bolton and Vice President Mike Pence), which gave up a limited nuclear development program under threat; we are still watching the chaos in northern Africa unfold as the answer to how that worked out in the long run. Success in Singapore may include an agreement to formally end the Korean War (supported by some 80 percent of South Koreans. This would be a massive domestic win for Moon, himself the son of North Korean refugees, ahead of the June 13 South Korean by-elections.) Success will include humanitarian aid from the South, perhaps some modest investments from China, and scaled easing of sanctions from the American side. These are not concessions, but the give and take of negotiations, the stuff of diplomacy, where uneven forward movement can be a sign of strength and strategy. Success might be Kim formalizing the promises he has already voiced in his Panmunjom meetings with his South Korean counterpart. Success also will include keeping Moon Jae In in the center of unfolding events; no other nuclear negotiations in history have had such an interlocutor, one who shares goals near equally with both other parties, and one who can talk to each as a partner. If people demand Trump bull into the room and say “Nukes, number one and we’re done,” the process will indeed fail. Wipe clean the cartoon image of Kim as a madman. North Korea currently has nuclear weapons as the guarantor of its survival; that is a starting point, not a debatable one. If the United States and South Korea want the North to give up those weapons, something has to replace them as that assurance of survival. The ask here is extraordinary; only one nation in history that self-developed nuclear weapons, South Africa, ever gave them up, and that was because their purpose, the survival of the white apartheid regime, disappeared into history. Success in Singapore will be an agreement to meet again, and again after that; it should not be forgotten the more modest 2015 Iranian Accord took 20 months to negotiate. Success means forwarding the process of building trust and creating an infrastructure to solve the inevitable problems (sadly, yes, there will likely be tweets) that accompany the often herky-jerky path forward. Anyone demanding more than that from the June 12 meeting wants it to fail. 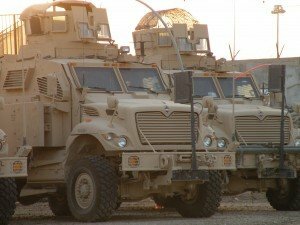 The US released its first hard public evidence of a link between anti-US violence in Iraq and Iran, US-made radio frequency (RF) transmitters being bought semi-legally by a Singaporean firm, transferred illegally to an Iranian firm and then ending up attached to roadside bombs, Improvised Explosive Devices, IEDs, in Iraq. Technical specifications on the smuggled transmitters are not public, but one can guess they might have frequency skipping technology, useful in a home network to avoid interference with cell phones and other portable devices. Such tech would make the transmitters that much harder to interrupt, plus their long range (miles) is handy for the bad guys in hiding. 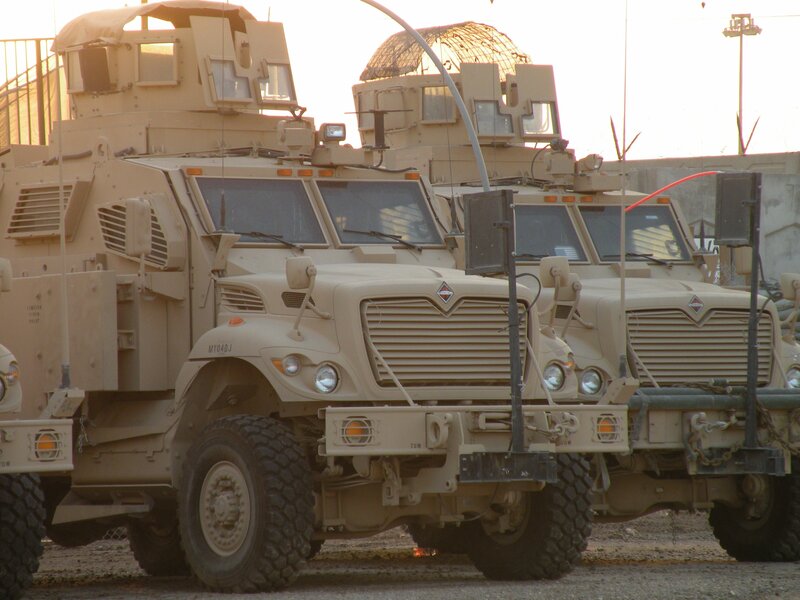 That Iraq is a battleground for the proxy war between the US and Iran has been an open secret for several years. The US, for internal political reasons, has flirted with publically making such a statement. In 2009-2010, my turn in Iraq, the Iranian connections were sort of kept low key, not secret, but not spoken of openly by senior officials even though Iranian presence was well-known. Soon after that statement, Major General Jeffrey Buchanan, the senior US military spokesman in Iraq, said Iranian-backed Shiite militias were working to keep the Baghdad government weak and isolated, and that decisions on the number and types of attacks by the militias are made inside Iran, including through ties with the powerful Quds force. But this was all just noise, speculation, and leak fodder until today’s story linking the violence in Iraq directly to Iran, at least as far as public disclosures are concerned. Indeed, to make sure the point was clear enough, a Justice Department spokesman said “This is the first prosecution in which the government has alleged that it has the evidence to trace — by serial number — specific components exported from the United States to Iran, and later to IEDs in Iraq.” Justice went on to say that forces in Iraq had found at least 16 of the transmitters in unexploded improvised explosive devices (IEDs) between May 2008 and July 2010. Today’s disclosure represents a more intelligent escalation by the US Government in painting a picture for the always receptive American people, especially after the bumbling attempts to whip up a frenzy over some loser has-been Iranian-American and his B-movie fantasy of whacking the Saudi Ambassador. So is the US going to war with Iran next week? No, no, none of this is aimed that high. 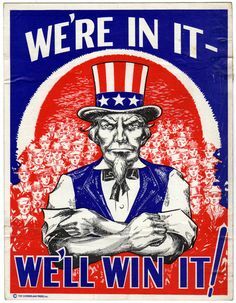 What we are seeing is a more clever tamping up of public rhetoric, a base that if the US chooses to do so, will serve as the next step in an ongoing war of mostly, for now, words.